Vital is a well-known Belgian manufacturer of topnotch nougat. This traditional Mediterranean candy is made from beaten egg whites, a sugar mush (boiled sugar, honey and glucose syrup) and a “garniture” (usually nuts and/or dried fruit). Vital is a true family business where every since 1926 three generations have worked hard to make the best nougat they possibly can. Vital was founded by Vital Gormez. As a young man he left Istanbul to see the world. In Alicante (Spain) he discovered jijoni, the Spanish nougat and became enchanted with this Mediterranean sweet. He then traveled on to Montélimar, the nougat city in the south of France, became an apprentice and finally made it to maître nougatier. He then traveled to Ghent, Belgium where he met his wife and they started making their own “Vital” nougat. They adapted the nougat to the North-European taste by making their nougat less sweet and a little more balanced. These days Vital is led by the third generation Gormez and sells its products all over the world. 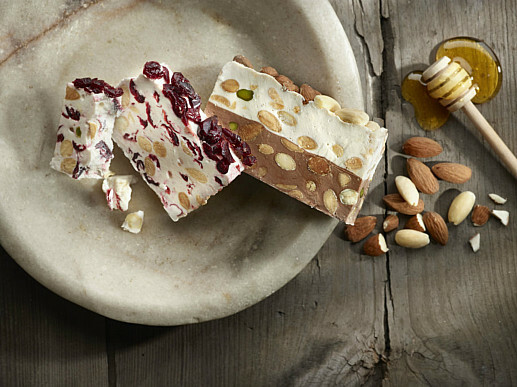 Because Vital’s nougat is simply irresistible, Foodkitchen has added a selection of their products to its product range.